Dadi calls Pragya and Janki picks up the call. Dadi asks her to put the phone on Loud Speaker mode, and Dadi shouts saying Tanu got caught stealing money, and Abhi has thrown her out of the house. Sarla feels happy and thanks her for supporting Pragya all the time. Tanu is packing her stuff, and Pragya goes to her. Pragya says she came to help Tanu and Tanu says no thanks. 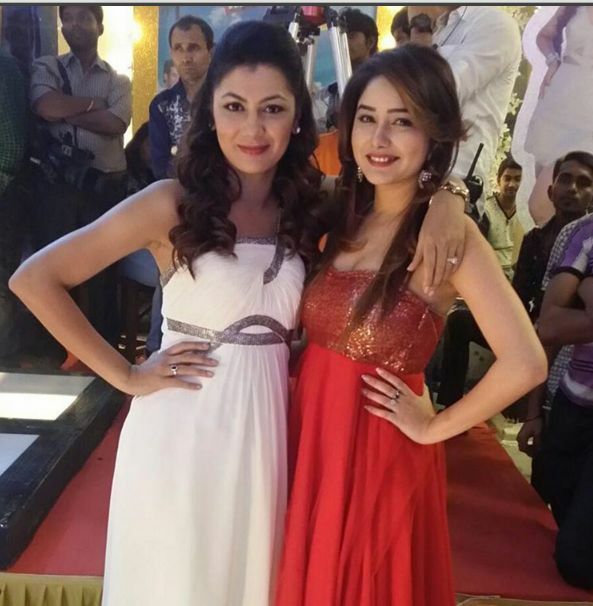 Pragya thanks Tanu for returning her husband back to her. Pragya says when Abhi comes to know the real truth then the actual fun begins. Pragya asks Tanu to tell the truth to Abhi. Tanu refuses. Pragya says my mom’s revenge is taken now, and I will take revenge once Tanu tells the truth to Abhi. Pragya says to Tanu that her obsession of saying lies will go wrong one day. She says that day Abhi will kill you for sure. Tanu imagines and gets scared. Pragya says that Tanu has killed her sister and is now trying to kill her mom too. She asks her to show the courage of telling the truth to Abhi. Tanu thinks Abhi will kill her fo sure. Mitali comes to Taiji and says Tanu and Pragya will go to Raja Abhi. Tai Ji says Abhi will pick Pragya and Mitali says this is where the unexpected happens and says Abhi will pick Tanu. Tai Ji and Mitali place their bets to 20000. Pragya comes to Tanu and asks, so you are leaving at last. Pragya says she will enjoy her life from now on. Tanu says when she returns Pragya will be gone forever from this house. Pragya thinks Tanu must be plotting something again and thinks to expose her very soon. Tanu goes to Abhi’s room. Tanu says she has his baby and says she is hoping for a boy as she will see Abhi in her kid. She asks him to see the baby once he is born. Abhi asks her to leave. Abhi imagines Tanu gifting toy gorilla and thinks to throw it away. He goes to Dadi and says he feels sorry for doubting Sarla. Dadi says she has told the matter to Sarla, and she is happy now. Dadi asks him to go and meet Sarla. Abhi says he will meet her and will clear all Tanu’s memories.